On an infinite planet, our current debt-based growth-dependent economy would actually be a good idea because it enables very rapid growth and development. The basic idea is that you can borrow a lot of money now in order to improve your productive capacity and then use this increased productive capacity to easily pay off your debt in the future (with enough interest to encourage others to loan you the money in the first place). This sounds very nice and all, but there are two fundamental assumptions made in this model that are now being violated to ever-increasing degrees. The first of these assumptions is that the raw materials used to fuel this increased production will forever be cheap and abundant. As we have seen in the previous two pages, this assumption is becoming falser by the day. The second assumption is that the debt society takes on today will be able to greatly increase our productive capacity in the future. As will be further discussed on this page, this particular assumption is also growing falser by the day. The reason for the failure of this assumption is called the law of diminishing returns. This law basically states that initial investments will yield great returns, but the returns on further investments will gradually diminish. Three real-world examples of this phenomenon are shown below where it is clear that increased healthcare spending, per-capita consumption and planetary resource usage grants ever decreasing returns in terms of life expectancy, life satisfaction and happy life years. In terms of our economy, the law of diminishing returns simply results in a situation such as that shown below. 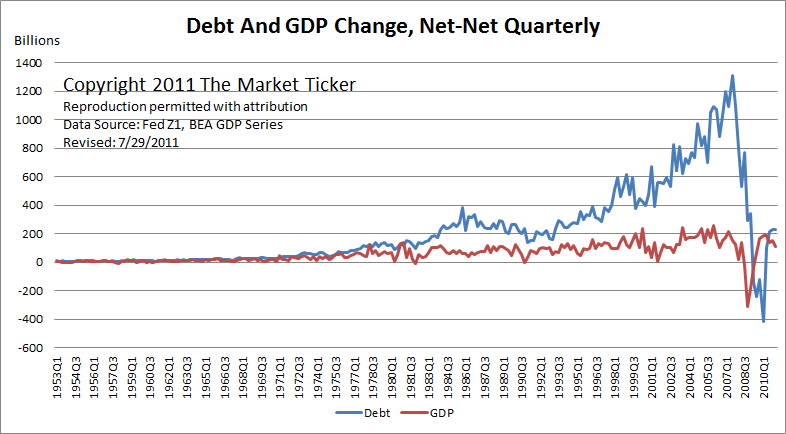 It is clear that the USA needed to grow its debt at ever-increasing rates to maintain a constant GDP growth. The gap between debt and GDP growth kept on widening until it became so completely ridiculous that the markets were actually shaken out of their blind unsustainable feeding frenzy. And yes, when this finally happened (2008), people begun defaulting on their debt in great numbers and the whole system collapsed. But let’s explore the real mechanisms and the implications behind the law of diminishing returns in a little more detail. In essence, the increased production sought by ever-increasing borrowing implies that the average person is able to gradually produce more and more value within the 24 hours of each and every day. This can be accomplished in two ways: the person can work for more hours or the person can work more efficiently. The number of hours worked has stayed roughly constant for the past few decades, implying that we have been completely relying on increases in the efficiency with which work can be done. Initially, while we were still doing a lot of manual labor and the Industrial Revolution was just getting underway, we saw tremendous increases in the efficiency of production. Machines were built through which one man could suddenly do the work of 10 men. With such stupendous increases in the efficiency of production, our debt-based system made perfect sense. 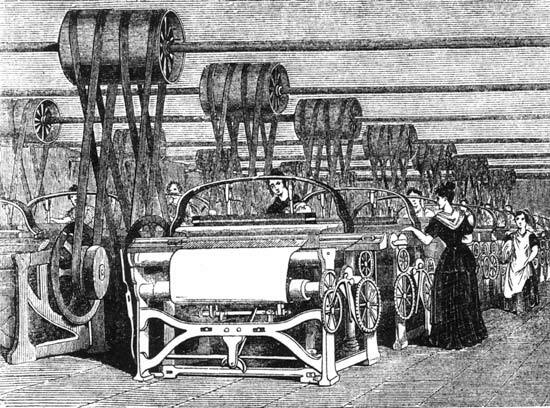 Since an investment in some new machinery could often more than double productive outputs, it was perfectly reasonable to borrow the money with which to acquire these machines and easily pay off the loan using greatly increased profits later on. Today, however, it is a different story. Innovations that can double or triple the productive output of workers are few and far between. 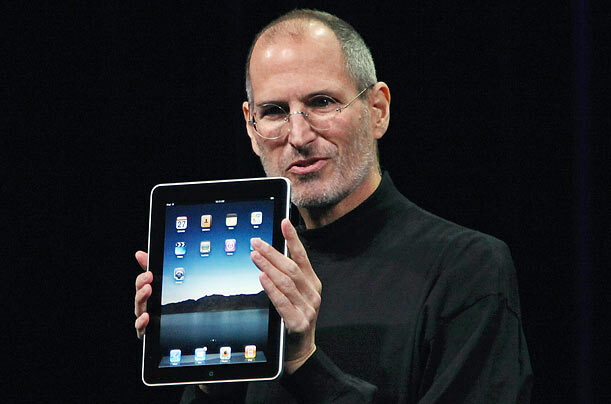 Sure, smartphones and iPads are fantastic and very cool innovations, but can they really triple your productive output? In one or two isolated cases they might, but in the vast majority of cases they will bring little or no increase in real productive output per worker (it can even be argued that the overload caused by our plethora of electronic gadgets is actually hurting productivity). Yet, we keep taking on more debt on the assumption that our productive outputs will increase sufficiently to allow us to easily pay off this debt in the future. 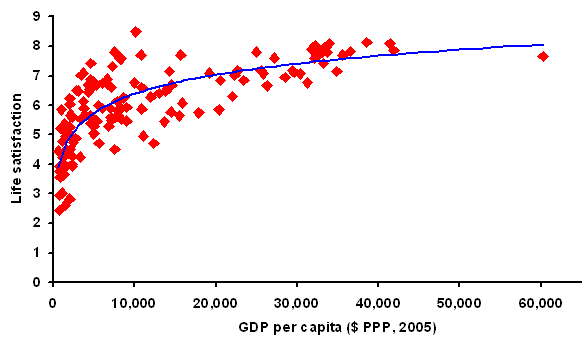 At present, the law of diminishing returns is really hurting developed nations. In many developing nations, however, this is not yet a problem. Because the populations and the production methods of these developing nations are still relatively underdeveloped, they can simply implement old and proven technologies from the developed world and see massive returns on this investment. This phenomenon is called catch-up growth and is the reason why nations like China and India are growing at such tremendous rates while the developed world is stagnating. Catch-up growth is well illustrated in the figure on the right. 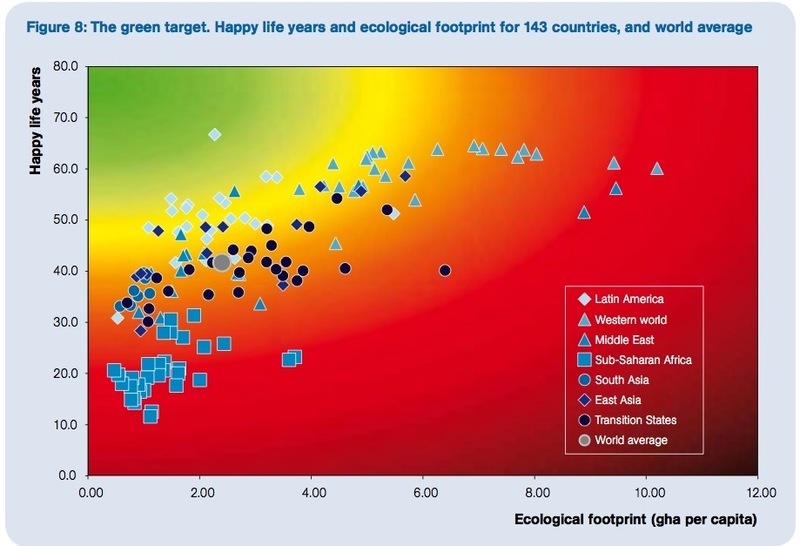 Unfortunately, the environmental restraints discussed in the previous two pages will cut short economic growth in many developing nations long before they had the opportunity to develop quality of life to the levels enjoyed by developed nations. 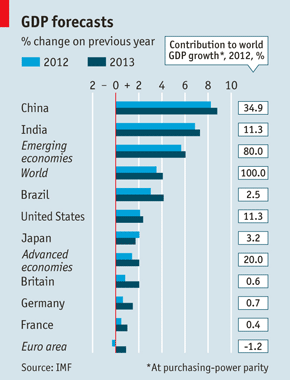 In fact, growth is already slowing down. But how would the slowdown caused by the law of diminishing returns and planetary boundaries practically impact our economy? Well, this interaction will be through debt. As shown in the “Debt and GDP Change” graph towards the top of this page, our growth-dependent economy can only grow through taking on ever-increasing amounts of debt. Now the only way in which you can get someone to lend you money is by convincing them that you will be able to pay back the money (with interest) at a later stage. Unfortunately, it is becoming increasingly clear that it will simply be physically impossible for the world to pay back its humongous debts. At the moment, the vast majority of lenders are still oblivious to this fact due to their blind belief in the merits of our growth-dependent economy. But the moment they wake up and stop lending (or start asking truly ridiculous rates of interest on the money they lend) growth will stop and quickly turn negative. 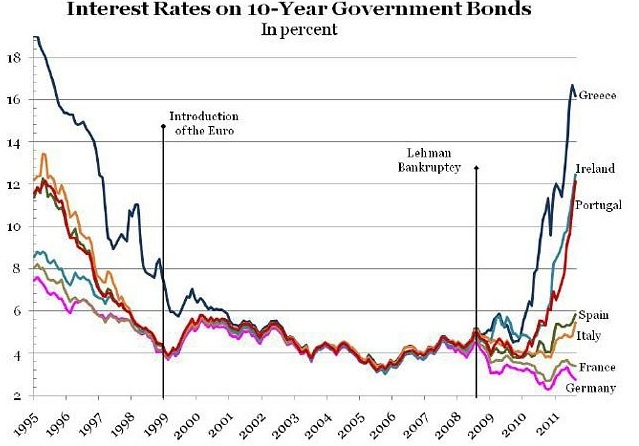 In recent years, some European countries (the PIIGS) have offered real-world examples of this effect. The longer we keep this up, the greater the turmoil will be when the house of cards comes tumbling down. If debt cannot be repaid, it must be written off, thereby cutting off the incomes of banks and investors worldwide. And since everyone owes everyone else tremendous amounts of money, such a default process can ripple through the global economy scuttling banks, pensions, insurance firms and investors worldwide. Just imagine for a moment that you find out that your bank account, your pension, your insurance and all of your investments have simply vanished. In short, this kind of situation is known as a global economic collapse. And the really funny thing is that we seem to be trying to make this happen as soon as possible by using our limited resources as inefficiently as at all possible. More about this on the next page. Ahhh yes, my favourite video – “Addicted to Growth”… Jevons’ Paradox is also very scary; and I am reminded of it every time a car manufacturer reports growth in annual sales… Just like no-one will probably ever run 100 metres in 8 seconds, no car manufacturer is likely to build a car that will do 100 miles per gallon of fossil fuel. Thus ever-decreasing marginal gains in fuel-efficiency are no match for ever-increasing global expansion of car sales (demanded by shareholders and pension fund managers). Yes, it is a bit sad that people do not realize what a great investment home solar PV actually is. Especially now with additional subsidies and the ability to sell back to the grid, people can break even in 5-10 years, thereafter winning all the way for the remaining 20-25 years of operational life. Not to mention the great hedge that such a system provides against future energy price hikes. If I did not live in the country (Norway) where such solutions probably make the least sense on earth, I’d have invested in home solar or wind long ago.